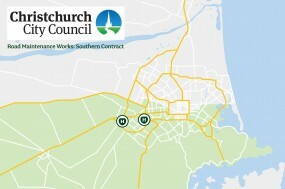 The Christchurch City Council awarded Higgins a three-year-contract commencing October 2017 to maintain roads in the south of Christchurch – extending to Riccarton, Hornby, Spreydon, Halswell, Cashmere, Heathcote and Linwood. 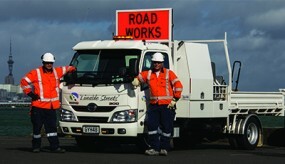 The Hawke’s Bay Network Outcomes contract has been awarded to a partnership headed by Higgins Contractors. 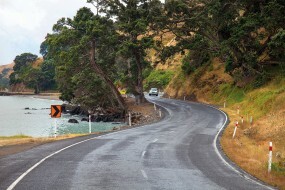 Partners include local and regional sub-contractors including Wairoa-based QRS and consultants BECA and GHD. The Rangitikei network covers a large area, from the Kaimanawa’s to the Ruahine Ranges through to the Rangitikei River, Tasman sea and the Whangaehu River. 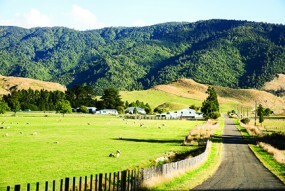 Consistent with this large contract area, the terrain is varied from coastal roads to hills and includes Bulls, Marton and Taihape. 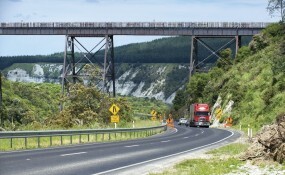 Higgins maintains the 1383km roading network of the Manawatu District as part of the combined MDC, RDC and HDC combined network approach. 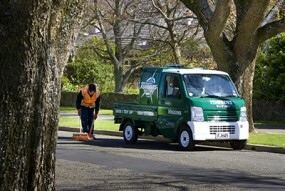 The Horowhenua District contract is part of a collaborative approach to regional maintenance. Including Manawatu and Rangitikei districts, the combined districts allows for greater efficiencies across the network. Expertise, management processes, resources and added buying power are just a few of these. 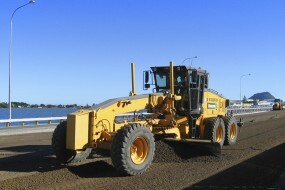 As an established roading contractor within the Bay of Plenty region, Higgins has been providing quality pavement and surfacing solutions to the Bay of Plenty region for over 20 years. In July 2014, Higgins were awarded the maintenance contract for the Bay of Plenty East network of roads under the new NZTA NOC structure. 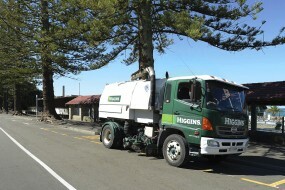 Higgins provides general road maintenance and emergency works across the Napier City Council contract. 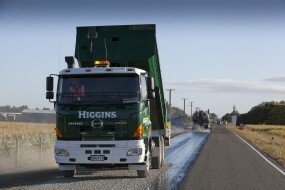 With the Bitumen plant, an aggregate and asphalt plant situated in the Hawkes Bay, Higgins is well equipped to provide Napier with the highest quality product. This NOC is a step up from everyday road maintenance contracts. Our skills as consultants are utilised in this 631km sealed state highway contract to provide elevated network management and service. The Liveable Streets team is an amalgamation of resources from Higgins and HEB to deliver the Auckland Central East contract. 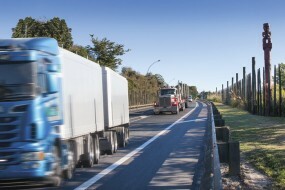 This contract consists of 479km of highly populated inner city road network. 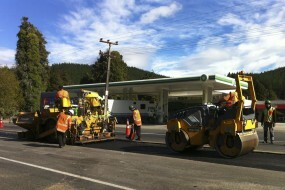 The Higgins Taupo District Road Maintenance team pride themselves on their quick response to issues on the 705kms of sealed and 74km unsealed pavement network. 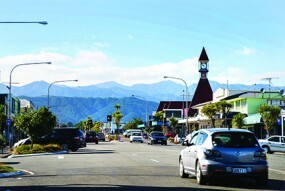 This contract is unique not only as a work environment but also for the close alignment the Higgins Fiji team have with their staff and community. Their motto is ‘Here to make a difference’. 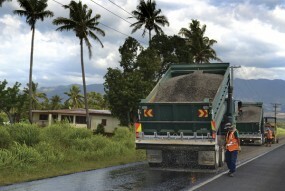 Higgins has a long term commitment to the region, the community and the training and development of its 150 strong local Fijian maintenance team. Higgins is responsible for the general maintenance and emergency works for a largely an urban network - 475km urban and 55km rural. The team have a strong focus on providing quick and effective responsiveness to client needs. Kerb to kerb, Higgins is responsible for the road maintenance and emergency works of urban and rural roads within the city boundary. 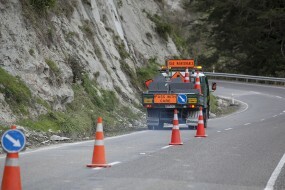 This includes 480km of sealed and unsealed roads as well as 572km of kerb and channel.